I still feel that Pietersen and White are not required in team RCB. Van der Merwe is the one who gives his heart out while playing (not like arrogant KP). Merwe and Steyn - only one of them should play in final 11. Boucher and Pietersen- only one of them should play in final 11. Share your thoughts on the playing 11 for RCB. Yours looks good too. But what would be your 11 if there is spinning track? 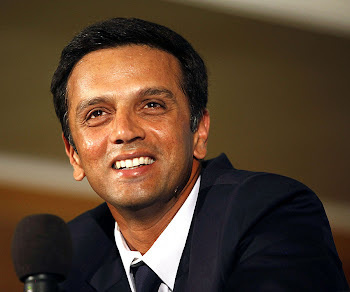 you cant bat dravid at 6 his best innings this ipl has been at 3 and thats where he should remain unless there is an amazing start.